San Antonio, TX – Nao is excited to continue the Celebration of Cuisines program with a new Peruvian menu which launched October 22. True to its namesake, Nao is exploring new world flavors throughout the program, and Executive Chef Geronimo Lopez's Peruvian-inspired menu will run six weeks until December 2. "In Peru we find the crossroads of many cultures that have collided to inspire a culinary-driven society," said Chef Lopez. "This entitles Peru's culinary past to a great respect, and I feel honored to take guests on this culinary journey." Nao's Peruvian menu is inspired by the history of Peru and fuses the traditional flavors of Peruvian cuisine with a modern presentation by Chef Lopez. Guests will be surrounded by and immersed in the music and art of the Peruvian culture while they dine on Nao's modern interpretation of authentic cuisine and enjoy traditional beverages. The special Peruvian prix fixe menu features an appetizer, main course and dessert for $39. The dinner begins with a choice between Chupe Seco de Pollo y Quinoa, a traditional Peruvian casserole with corn, quinoa, ajies, peas; or Crab Cause with an aji Amarillo-lime emultion, purple potato, avocado with amaranth sprouts. The prix fixe continues with a choice between Arroz de Pato, roasted Duck Magret glazed with aji limo, siyau and honey with Chifa rice; or Mahi Mahi "Sudado" with Peruvian aji broth, Yucca and plantain mash, crispy chorizo and heart of palm salad. The evening will end on a sweet note with Lucuma Glace o Tres Leches Sellado. Hand-crafted by mixologist Steven Raoul Martin, Nao will feature the national cocktail of Peru throughout this installment of the Celebration of Cuisines program. Nao will craft the Pisco Sour made with pisco, lime, sugar, egg white and angostura bitters. 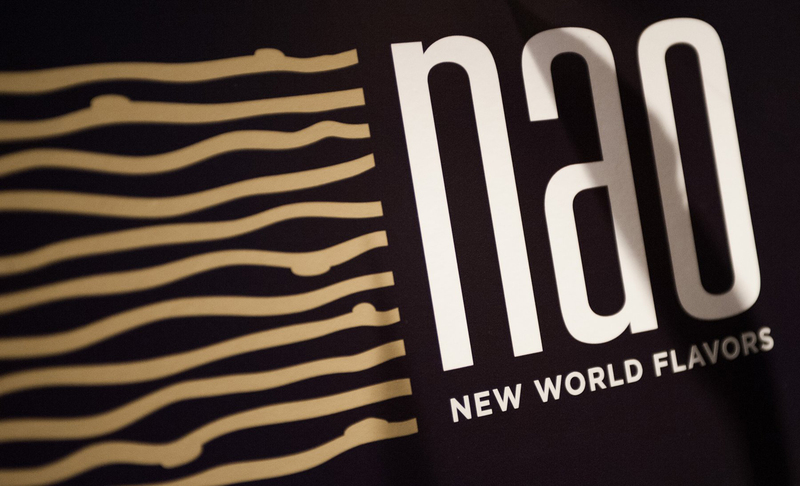 In the spirit of new world flavors, Nao will continue to introduce a new menu inspired by a Latin American country every six weeks. Coming up, Nao will feature Spanish Caribbean, Brazil, Argentina, Chile and Venezuela. Executive Chef Geronimo Lopez will guide guests through their exploration of cuisines with a culturally inspired culinary tour for each installment. Nao is a restaurant and CIA classroom dedicated to the exploration, preservation and celebration of the authentic cuisines, cultures and bounty of Latin America. Nao is open for dinner on Monday to Saturday from 5:30 to 10 p.m. Nao also offers a farmers' market lunch on Saturday from 11:30 a.m. to 2 p.m.; Late Night at Nao on Saturday from 10 p.m. to 2 a.m.; Pop-up Taco Stand at the farmers' market on Saturday from 9:30 a.m. to 1 p.m.; and Fire & Ice Happy Hours on Friday and Saturday from 5 to 7 p.m.
Nao is located at the Pearl at 312 Pearl Parkway. For more information, please visit www.NaoRestaurant.com. Follow Nao on Facebook @NaoRestaurant and on Twitter @NaoRestaurant.